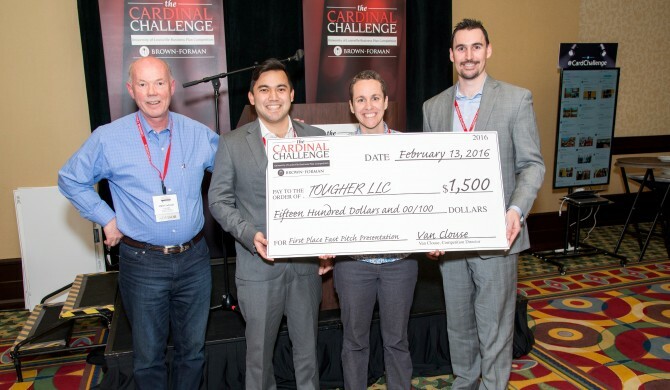 The Louisville Cardinal Challenge is an annual business plan competition held in Louisville, Kentucky. 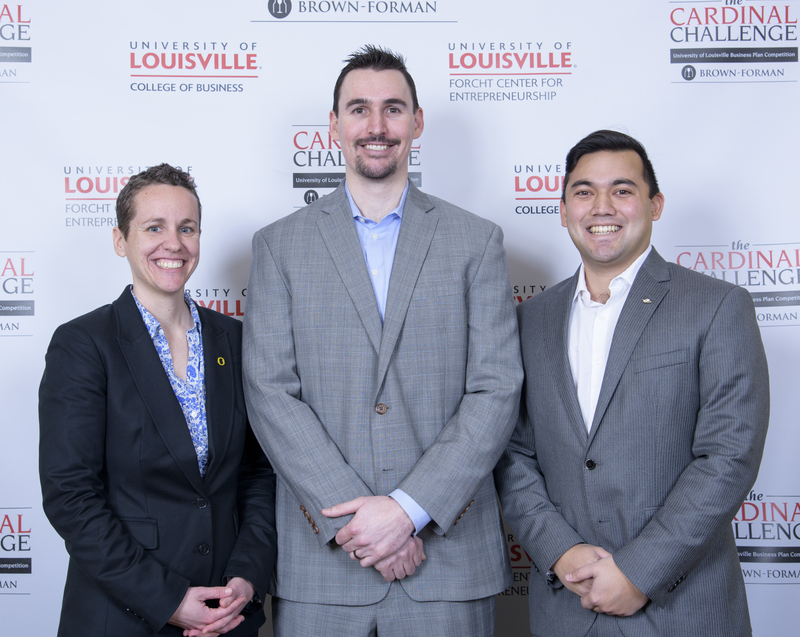 Hosted by the University of Louisville, the Cardinal Challenge is one of the first events of the business plan competition season and offers students seeking to launch a business an opportunity to measure up to their counter parts from around the nation. 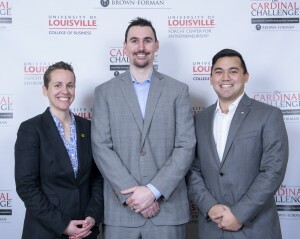 The 2016 edition was sponsored by Brown Forman and offered thousands in prize money and services to the winner. The competition had an opening round of four tracks with three teams within each track. The winner of each track moved on to the final round. 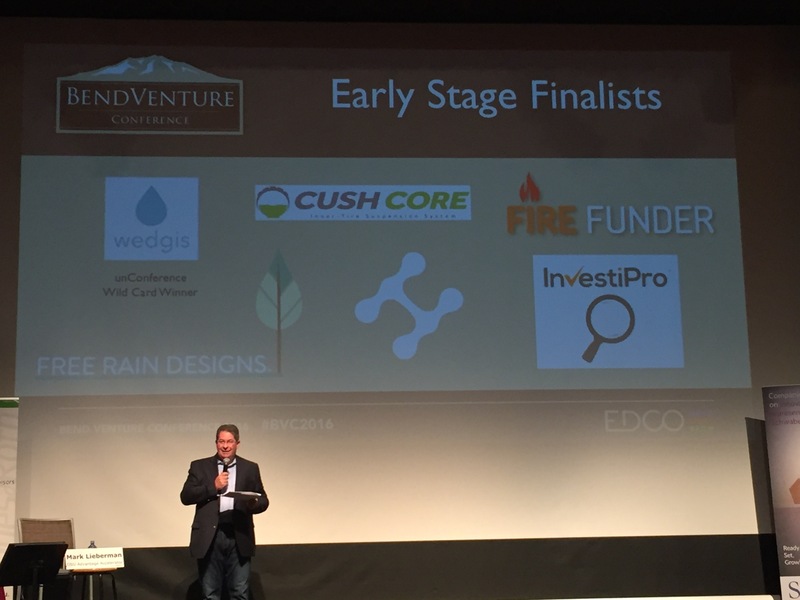 Those teams who didn’t advance out of the first round competed in the 60-second quick pitch competition within the competition. The Team TougHER journey began in the opening round where we presented second out of three teams. 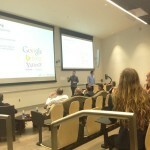 Our presentation went well and we felt confident coming out of the Q&A session. 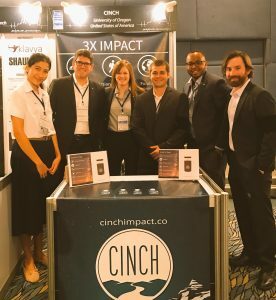 Our opening round track included a team specializing in a new natural and organic chicken feed that fought diseases in chickens and a team who created a new solid-state rocket fuel source. Needless to say, we quite a challenge in front of us. Later in the day, the competition hosted a luncheon with all the teams and announced the winners of each track. Unfortunately, Team TougHER didn’t successfully emerge from the opening round. The team pushing rocket fuel edged us out by the narrowest of margins. Next up was probably the part I found to be most valuable. After lunch we were guided to our feedback session with the judges who evaluated both our presentation performance and the overall quality of our business plan. 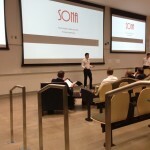 The judges provided critical feedback and assured us that we weren’t far off from a winning plan and pitch. Once through with the feedback session, our fearless leader, Stacey, put together a pitch for the 60-second quick pitch mini competition. For the quick pitch competition, the moderator called up each of the eight selected speakers from each team and then randomly selected who would pitch. The presenters were allowed no more than 60 seconds which was then followed by two minutes of time for the judges to make notes and score the pitch. After a nerve-racking half hour, Stacey was selected to pitch last. Realizing that she was missing important details of our business in her original pitch, Stacey scrapped the pitch she prepped and free styled the pitch. 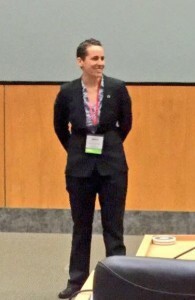 Later than evening at the awards banquet, it was announced that Stacey had brought home the title for the quick pitch division along with $1,500 for the business. As a native of Hawaii, I never thought I would find myself bundled up in 19-degree weather in the heart of Kentucky. 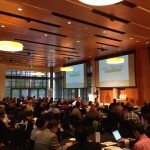 I knew the Oregon MBA was going to challenge me in many ways but I never expected to be pitching in front of panels of entrepreneurial experts and other MBA’s and PHD students. It made me really value the multiple speech classes I took in high school. This business plan competition offered me a chance to not only see what my counter parts across the nation are doing, but it also gave me a chance to see just how well I stack up to the competition. 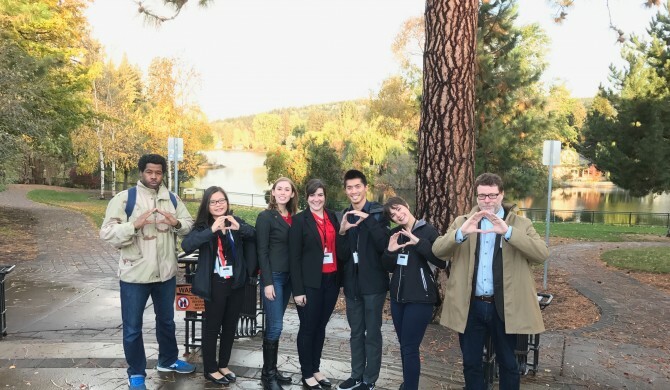 After this experience, I can confidently say that Oregon MBAs are just as competitive as any other out there. It was especially cool to see all the different innovations that others are working on and how they view the landscape of their respective industries. Overall, this experience provided a ton of learning points and exposure to things that I never imagined. I now know more about solid-state rocket fuel than I ever thought I would. 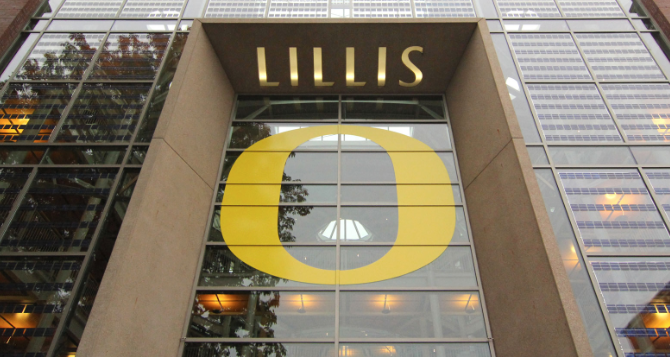 I am extremely grateful to be a part of this team and for the opportunities that the Oregon MBA has given me. 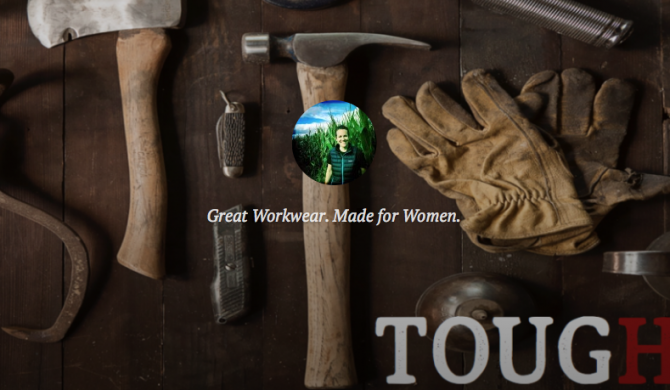 Next for Team TougHER will be the New Venture Championship in Portland, April 7-9. We hope to see you there! Brawnson is a 2016 MBA from the Lundquist Center for Entrepreneurship. A native of Hawaii, Brawnson has an extensive background in retail and an undergraduate degree in finance from the University of Hawaii Shidler College of Business. 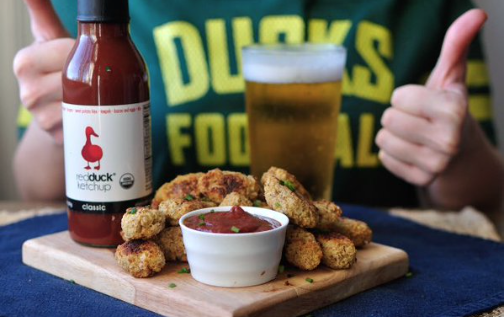 The UO vs OSU Civil War Shark Tank competition shares similarities with ABC’s Shark Tank, however it has a different impact on its audience. Instead of watching strangers who are typically older, not college-age individuals, in this contest the competitors are my peers. I know the hard work they’ve put into bringing their ideas to fruition and watching them compete in this event makes me want to push my own boundaries too. One of the most distinctive things about this undergrad event is that students get direct feedback, both criticism and praise, from professionals within a range of business industries. This year marked the third annual event for the friendly competition between the two rival schools, and the first time OSU has been the host. 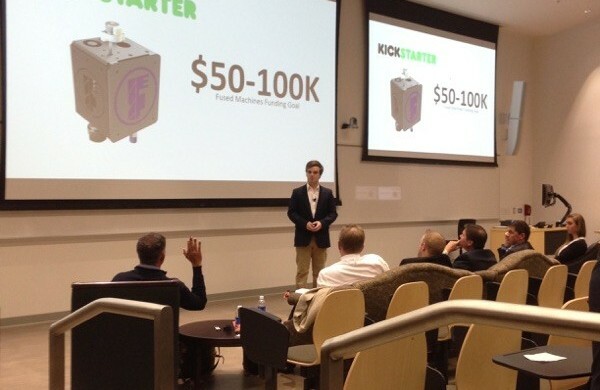 During this year’s event, OSU added an elevator pitch free-for-all competition. Adding this mini event provided all attendees—including me—with the opportunity to use their creativity and brainstorming power. 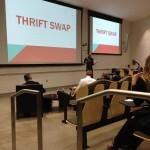 University of Oregon team, Thrift Swap takes the traditional thrift store business and infuses a subscription revenue model to keep your wardrobe looking fresh. Oregon State team Sona offers a solution to party music selection. 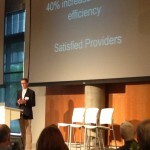 Oregon State team, Steady Budget ensures that businesses use their online advertising dollars wisely. 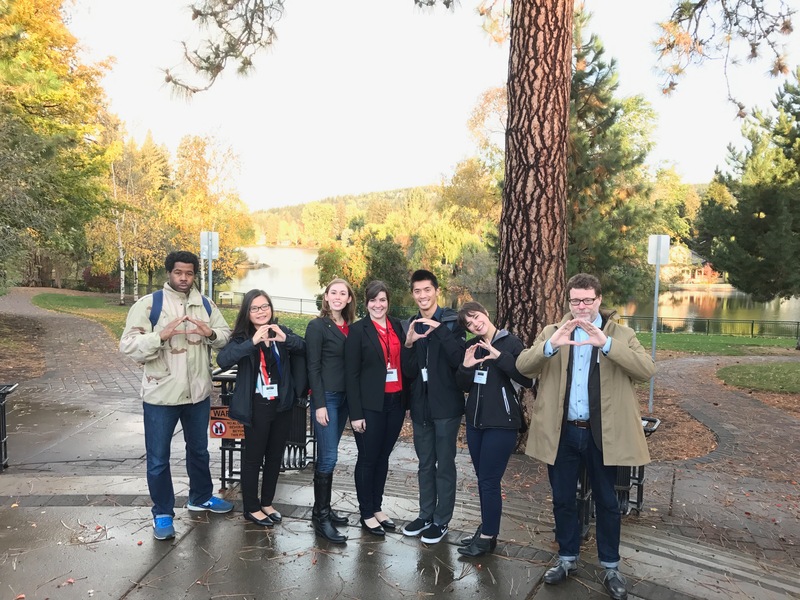 University of Oregon team, Smarter Marketing offers co promotional opportunities for businesses with similar target markets. 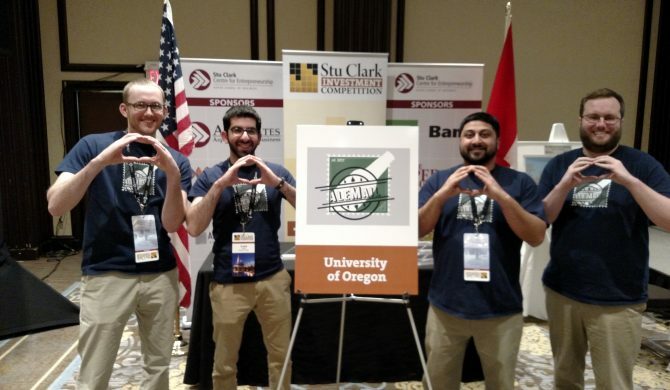 Winners of the competition, Oregon State team ,Fused Machine creates a 3-D printer attachment that combines a machining tool and 3-D printer for increased accuracy of consumer grade printer. Some contestants have never even pitched before, and have accelerated their idea in a matter of weeks to be showcased in this event. Students have entered industries that I wouldn’t have thought possible at our age. Last year it was health care and this year it was pay-per-click budgeting. At Shark Tank I get to witness students like me put their best foot forward and be courageous. The innovations that students come up with are inspiring not just in nature, but in the efforts that their creators have put into the product or service. 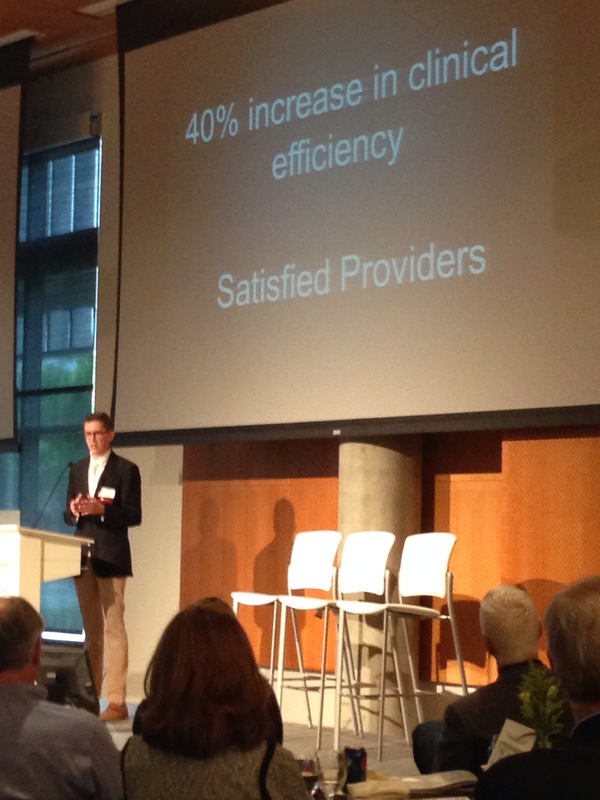 Orchid Health, the winner of last year’s competition, has since won numerous other funding opportunities and have had their primary care clinic running for almost a year now. Entrepreneurship requires immense creativity and tenacity, qualities that are applicable beyond just the business world, which is why I am so drawn to it. 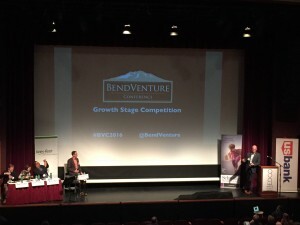 Entrepreneurs and the innovation they bring are needed in all industries. While there is an element of competition, it’s a very positive atmosphere. 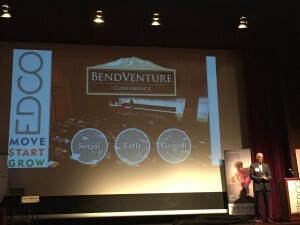 Students and professionals get to connect and share ideas. The main competition also gives the participants invaluable feedback in order to allow them to further improve and flourish, and for some, capital investment to help them get business going. I look forward to continuing this tradition between the University of Oregon and Oregon State entrepreneurship programs, and next year we will be back on Duck turf. 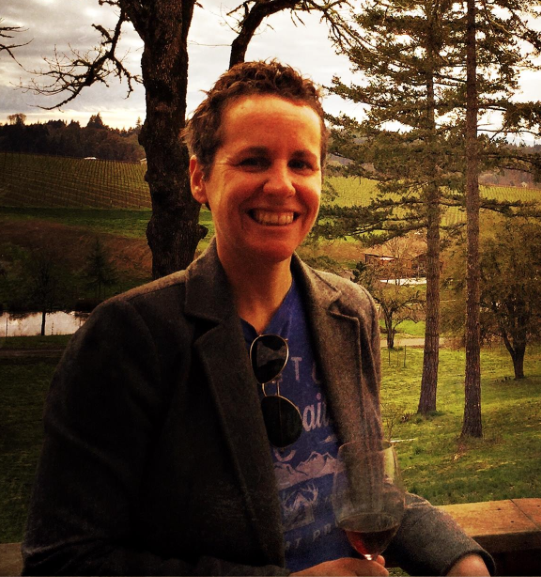 About Katie: I am the current president of the UO Entrepreneurship Club and loving every minute of it. I plan to graduate in spring 2017 with a double major in business (with a concentration in marketing) and digital arts. If I have time, I’ll also pick up a product design minor. Creativity and design are two of my biggest passions. Aside from the Entrepreneurship Club I am a member of the Business Honors Program, Kappa Alpha Theta, and work with the Lundquist College of Business Job Shadow Program. One day I hope to own my own marketing and design company located somewhere in the Pacific Northwest. 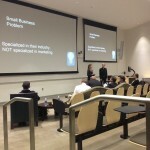 Katie Breeden is president of the college’s Entrepreneurship Club. With Valentine’s Day coming up I felt I would try to spread the love and passion of business a little. The idea of starting your own business is such a romantic notion. Snuffing the system, being your own boss, working your behind off for what you’re passionate about, and creating something amazing and (hopefully) disruptive enough to make the world a better place! But then reality comes crashing down when you realize that in order to accomplish this you need money. Potentially a lot of money. Not many of us have the luxury of having a wealthy (and highly understanding) partner who can support us during our entrepreneurial endeavor or a nest egg that is able to be invested (or risked depending on your perspective). 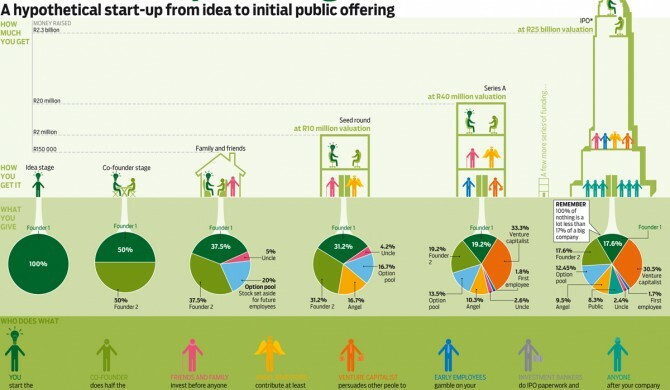 As much as I hate to admit it: Money makes the world go ‘round and it is even more imperative for start-ups. As someone who would love to work for a start-up (or small yet rapidly growing company) and who is immersed in this world as an entrepreneurship MBA (trust me: it’s not an oxymoron) thinking about financing for such ventures is daunting. 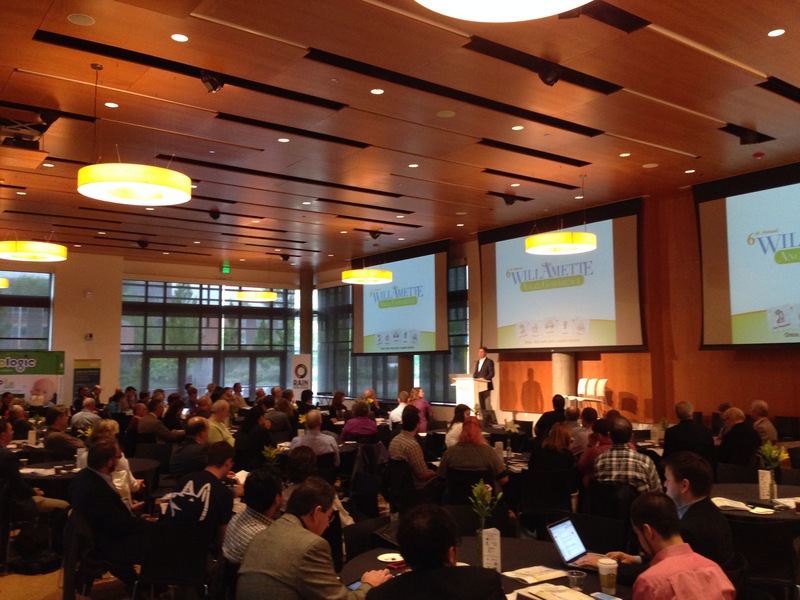 Luckily, I’m in Oregon which provides multiple opportunities to fight the ever shrinking runway of start-up finance. 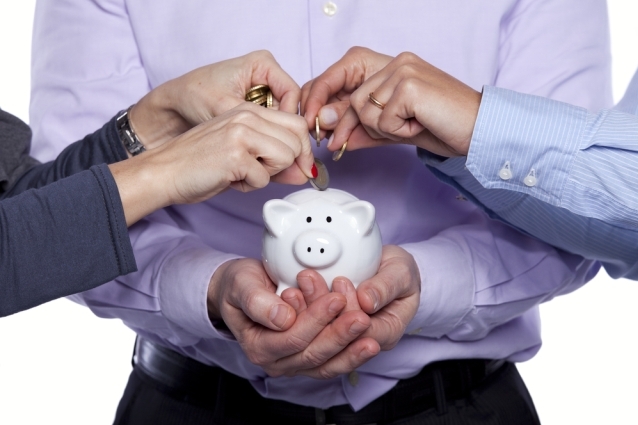 We have an extensive network of traditional funding paths. Oregon hosts many angel investment opportunities including the Bend Venture Conference, the Oregon Angel Fund, Angel Oregon, and the Willamette Angel Conference. We also have opportunities for seed stage investments with the Portland Seed Fund and the newly established UO Foundation Seed Fund. 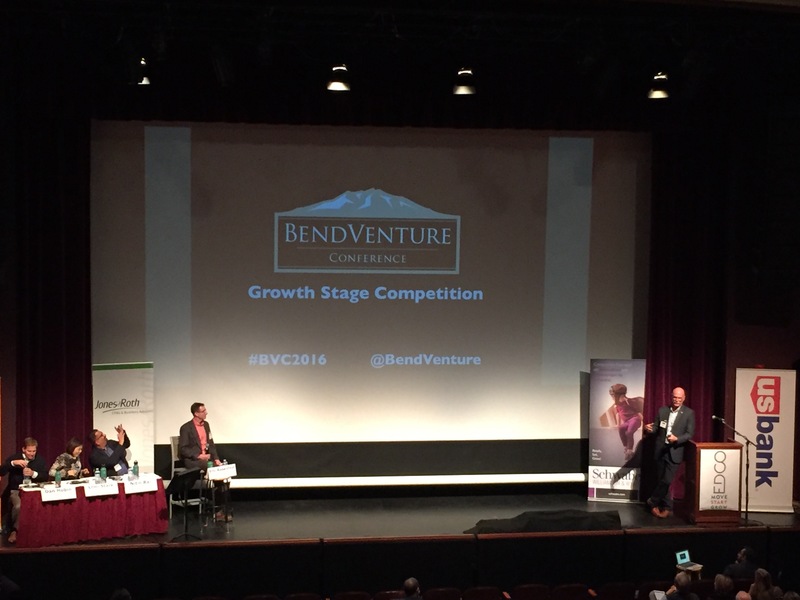 But there is a rapidly growing form of funding taking root and thriving in the Pacific Northwest! 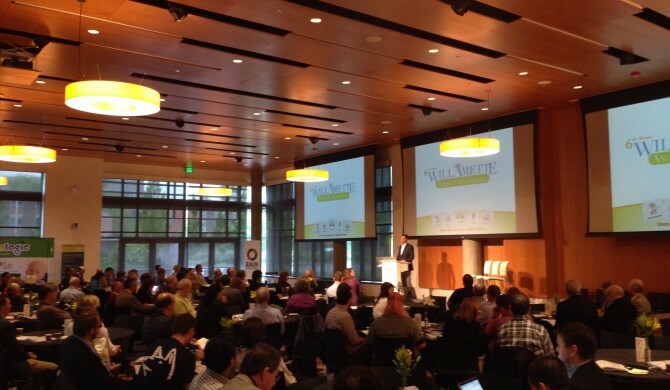 According to a study done by the Crowd Data Center, Oregon ranked 4th in the best states for crowdfunding. Portland ranked 3rd for the top city while Seattle ranked 7th and San Francisco ranked 1st! I know San Francisco isn’t technically in the Pacific Northwest, but it is just a hop, skip, and jump away and is almost like an older, more experienced sibling when it comes to start-up financing. (Sand Hill Road, anyone?) 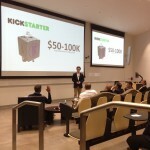 Now I know what you are thinking…crowdfunding?!?! Yes. Crowdfunding. Changes to SEC regulations have allowed platforms such as Kickstarter, Kiva, Crowdfunder, and multiple others to tap into the pockets of the masses to help finance fledgling companies and products get off the ground. 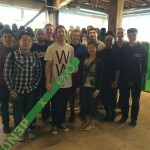 (Check out this Forbes article for more.) No longer do you have to be an accredited investor or give up thousands (potentially millions) of dollars to play a major part in the economic development of your community. After all, small businesses are a powerful driver in job creation. And if one is going to have a job, why not do something that speaks directly to and of you? Not everyone is an entrepreneur. But thanks to the great support shown through the success of crowdfunding, almost anyone can help an entrepreneur be that much closer to success. From Portlandia to Grimm, Portland has become known for its unique yet endearing quirks through pop culture. The shows feature handmade artisanal foods, communities of enthusiastic outdoorsmen, and few fairy tale creatures. 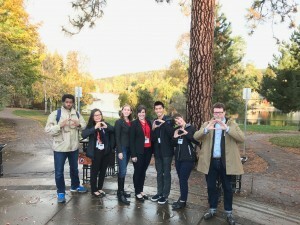 Reality was not so distant from fiction when the UO Entrepreneurship Club went to the Rose City this past weekend to hear from different businesses about the keys of their success. Walking into Evo Sportswear, the first thing you notice is how unlike a sportswear company the location looks. A fake pink storefront sits in the middle of the store with the name of Uncle Jacks Bakery; the building itself is a renovated Salvation Army; and the second floor has walls painted with faux stained-glass windows. All in all, a little quirky for a place that’s known for selling skis and snowboards. But as our guide—general manager Kevin—explained, all of these elements are play a part in staying true to the Evo brand. 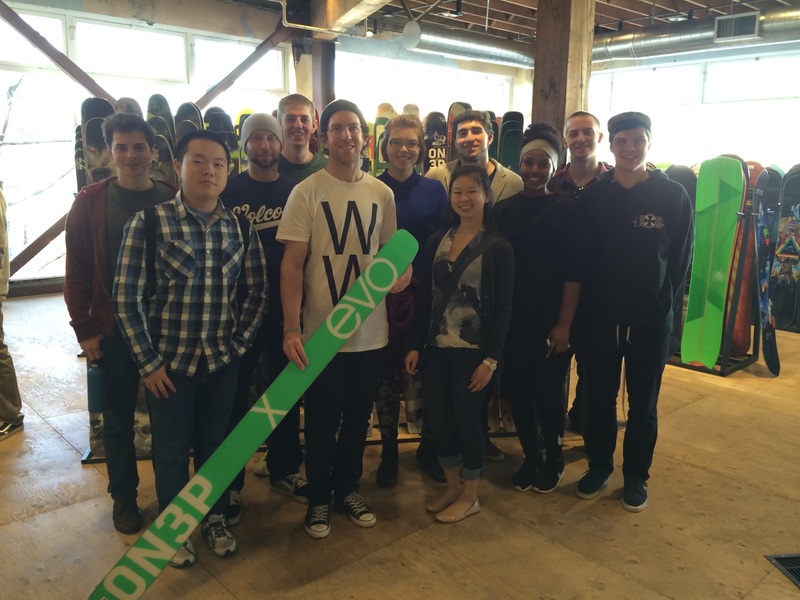 Started 14 years ago by Bryce Phillips, Evo began in Seattle as an online retailer selling skis and snowboards. Eventually the first brick-and-mortar store opened and the product line now includes everything from yoga mats to surf boards. 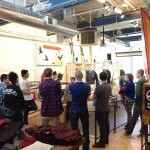 Phillips used the location as not only a store front, a place where people could buy something and leave, but as a community gathering place where local winter sports enthusiasts could discuss their favorite pastime, create an event space, art gallery, provide giveaways, have launch parties, organize trips to mountains, hold training courses, and use the space for fundraisers and clubs as well as meetings. 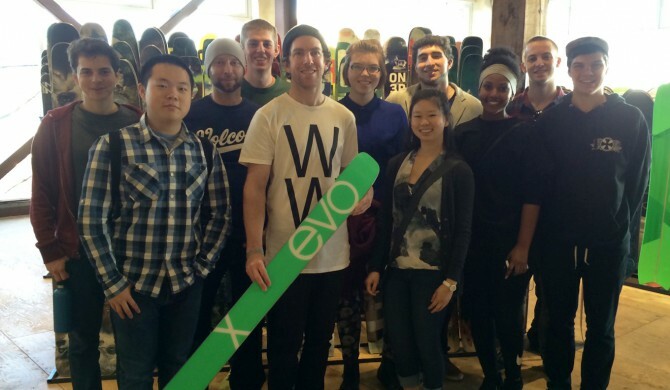 With online sales booming (the company sells 25 percent of all European winter sportswear through Evo.com) the second Evo location opened its doors in Southeast Portland this past October. So when so many mom-and-pop-style sports stores are closing their doors for good, why would Evo choose to invest so much in a new location? The simple answer is that shopping online, though cheaper, has cost the industry a lot. 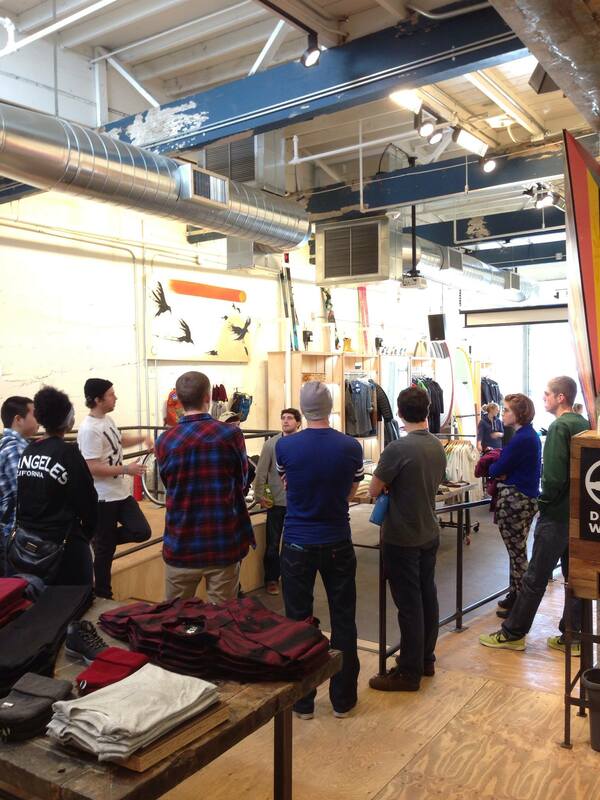 As Kevin talked about his last trip to the mountain for a day on the slopes he saw tons of people with their skis on the wrong side, grips not properly installed, and frustrated in general because their online purchases failed to live up to their expectations. 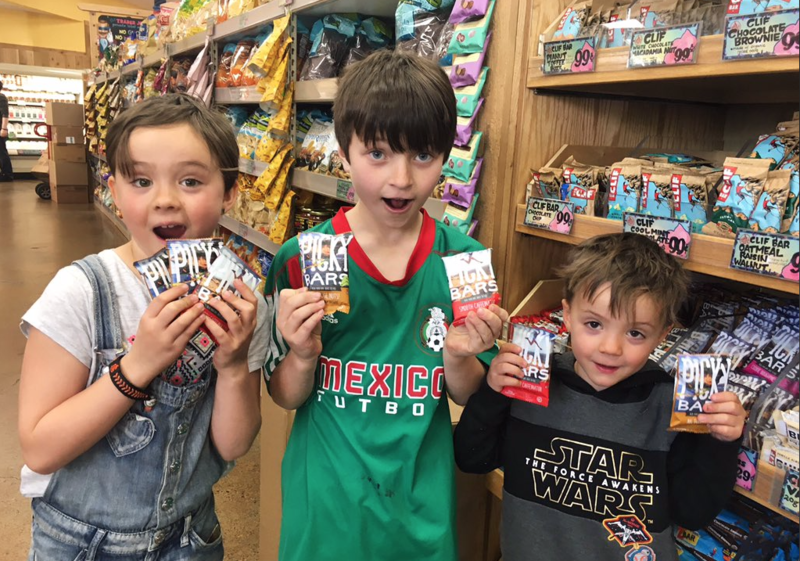 By having a brick-and-mortar location near their target market, Evo is able to provide the community with an immense amount of support through customer service and by allowing people to handle the products before they spend hundreds of dollars. Even if someone can’t find the perfect piece of equipment they’re looking for (only 5-10 percent of Evo’s total inventory can be found in the 11,000 square foot retail location), there are multiple iPads throughout the store so an employee can help you search through the company website. This click-and-mortar approach has been the determining factor in Evo’s success balancing tech and face-to-face customer service. 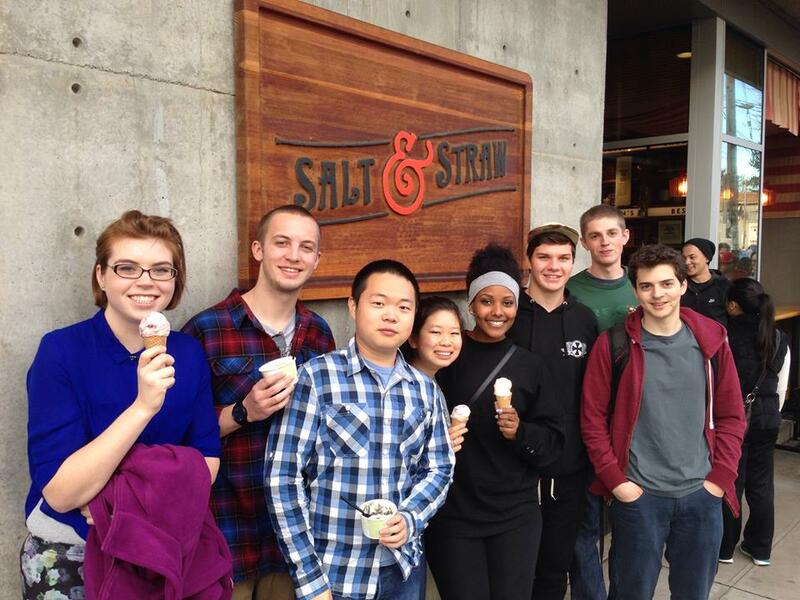 The next stop of the day was Salt and Straw, nationally recognized gourmet ice cream makers. Just a few days before our tour, cofounder and head chef Tyler Malek was recognized by Forbes magazine as one of their 30 under 30 for changing the way Americans eat. 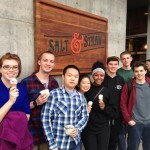 Known for creating ice-cream flavor combinations such as sea urchin and mint, and mashed potatoes and gravy, Tyler has shaped Salt and Straw to become an iconic part of Portland. Kim Malek, Tyler’s cousin and cofounder and president of the company, provided a tour of the manufacturing facilities where all the ice cream Salt and Straw sells in Oregon is made. Club members saw the R&D facilities where all the unconventional flavors are concocted, the actual process of how they produce hundreds of gallons of ice cream, and the administrative side that keeps everything running smoothly. Amazingly, three small ice cream machines are responsible for churning out more than 20 flavors. As a fresh batch of the almond brittle with salted ganache came straight out of a machine, members were treated to a taste of the incredible ice cream and learned that the milk used to make the delicious concoction was as close to butter in consistency as you could get. Malek explained how the core principle of her business idea—creating a neighborhood gathering spot—is still felt in the manufacturing process through terroir, a French word that means “taste of place.” By partnering with other local companies for ingredients, Salt and Straw keeps their flavors local both in Portland and in their newest scoop shop in Los Angeles, California. Throughout this rapid growth (the company began four years ago as a food cart), staying true to their identity as community minded foodies has been the key to Malek’s success. Our takeaway: in Portland, community matters. 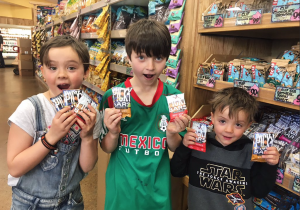 Treating customers as neighbors rather than profit margins means a lot in gaining loyalty. Finding a way to make that experience more than just a transaction can be a game-changer for not only customers, but for an entire industry. Knowing how this community approach has created such success, Portland’s reputation as a hub for the unorthodox will likely outlast any cable TV series. Senior at the UO, majoring in business administration, minoring in art. Current President of the UO Entrepreneurship Club. The natural entrepreneurial instincts of Dixie Powers guided her as the founder and former president of Baggallini Inc. Her work ethic, ingenuity, and perceptive vision of an untapped market for organized bags and accessories fostered a company that eventually grew from $1.2 million in gross income in 2003 to over $18 million in 2010. On April 10th, 2012, Dixie presented her story to the Women in Business club. Originally from Salem, Oregon, Dixie certainly does have a life story From Bags to Riches, the name of her autobiography-in-process by Kerry Tymchuk. She comes from a conservative family where her and her sister’s first job involved picking strawberries and beans until the age of 16 when they began working in the canneries. Dixie’s hard-working character derived from her childhood. She said that, “We grew up with a work ethic, we had to.” She spoke fondly of her father as a role model and self-made man who started a women’s shoe and clothing store as well as dabbled in real estate and the stock market. After high school, Dixie’s father hoped she would pursue an academic path and attend the Wharton School of Business at the University of Pennsylvania. Dixie had always found school to be uninspiring and admitted to skipping twenty-two days of school her senior year. After graduation, she attended a college that eventually funneled into what is now considered Portland State University. To her father’s dismay, she discontinued her enrollment during her second term and found herself needing to pay room and board at her parents’ house in Salem. Starting at the age of nineteen and for the next thirty years of her life, Dixie became a flight attendant. At one point or another, she was based in Miami, Chicago, Memphis, Atlanta, and many more cities. Dixie was in Boston, her favorite base, for thirteen years and now returns every summer. In Boston she began to develop her innate real estate skills by renting and buying a variety of properties like her father, who sadly would never see her professional successes. One day while browsing the street markets of Seoul, Dixie discovered a coin pouch. She immediately recognized a need for the accessory as a flight attendant in order to keep each currency isolated. Dixie found a manufacturer and subsequently began to identify and design a wide variety of products that flight attendants desired such as travel and tote bags as well as twistable, travel-sized razors. Dixie and Ann experienced rapid achievement by selling their products to junior flight attendants at other bases to sell to their colleagues. Together Dixie and Ann successfully launched their company Baggallini Inc.
As Baggallini continued expanding, the duo developed a line of vividly colored children’s travel bags that revolutionized the appearance of all products at trade shows. They then franchised the company to encourage growth and eventually Norm Thompson and The Container Store began carrying their products. In February 2001, Dixie retired as CEO of the company and sold baggallini for $40 million. 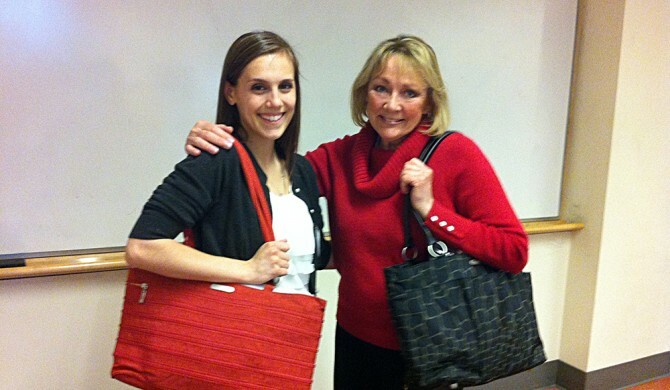 Her professional accomplishments came full circle two years ago when her sister presented her with a gift. Dixie received a license plate holder for the Wharton School of Business, which she now affectionately drives around with in memory and pride of her father. While verbally illustrating her stories and physically presenting products to the club, Dixie’s passion and enthusiasm overpowered her initial shy exterior. The membership was able to take away the invaluable advice that work ethic combined with diligence provides limitless accomplishments. Thank you, Dixie, for speaking with Women in Business!